Get beyond commodity cloud. Increase revenue, win more customers and build your cloud business faster by building on proven, sophisticated, fully supported services from Rackspace that augment your custom solutions. BOOST REVENUE WITH SOPHISTICATED SOLUTIONS – Support complex, high-value customer scenarios with the widest choice of architectures. Feature: Seamless hybrid solutions across dedicated hosting and public and private cloud. BUILD CUSTOMER CONFIDENCE – Ensure customers know they’ll always have the support they need. Feature: Fanatical Support® infrastructure & brand. PROFIT FROM THE CLOUD NOW AND TOMORROW – Deliver high-priority cloud services today and grow into more sophisticated offerings as your cloud practice expands. Feature: Complete portfolio of proven managed offerings. You have joined the Rackspace® Partner Network to provide your client's with a portfolio of Multi-Cloud solutions. Rackspace, the #1 managed cloud company, helps businesses tap the power of cloud computing without the complexity and cost of managing it on their own. Rackspace engineers deliver specialized expertise, easy-to-use tools and Fanatical Support® for leading technologies developed by AWS, Google, Microsoft, OpenStack, VMware and others. 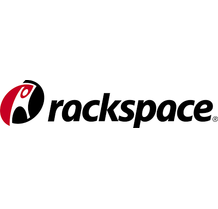 Contact Rackspace to begin your client’s experience on the world’s leading cloud technologies now.